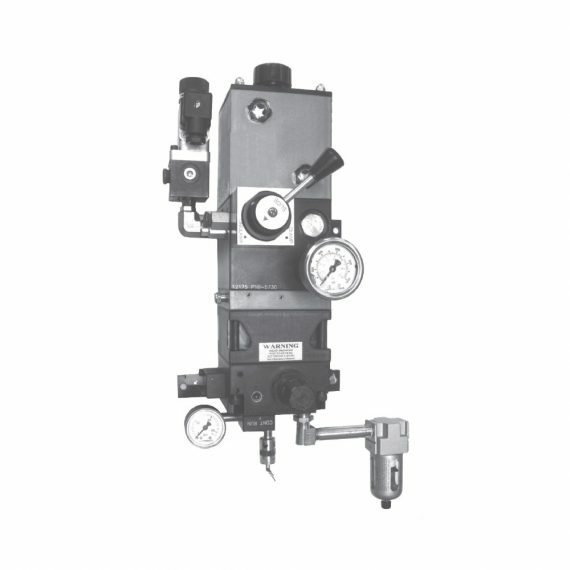 The pump is actuated by the manual air toggle or solenoid operated valve located at the base of the pump. It has a 40 cu. inch reservoir, with 20 cu. inch usable capacity. 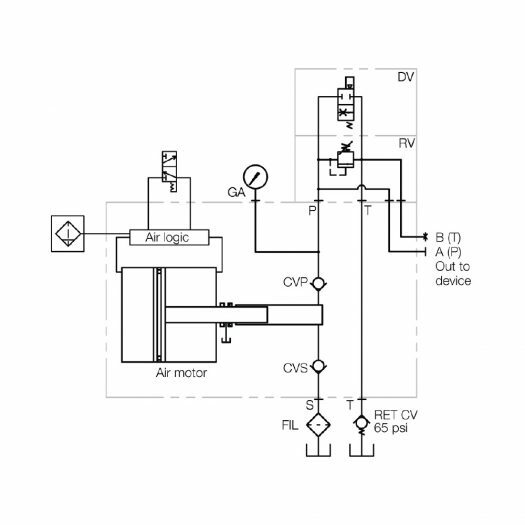 The out-put pressure (20:1) is controlled by the adjustable air regulator. A safety circuit relief valve reduces possible pressure intensification caused by overloading the rollblocks. A return line check valve keeps balls or rollers that are not under the die up during stamping.